Problems with dental alignment can leave your smile looking pretty flawed. Thankfully there are plenty of orthodontic treatment options around that can help straighten your smile. One particularly popular treatment option with our Palo Alto, CA patients is Invisalign®. 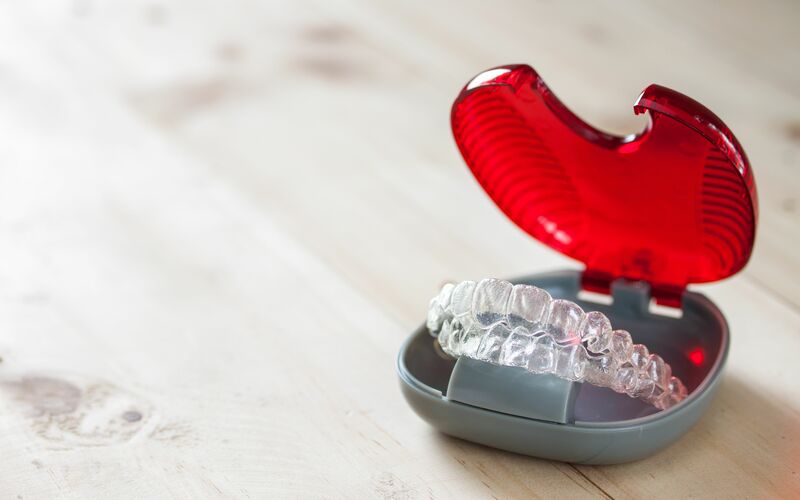 Let’s take a moment to consider how Invisalign® can treat tooth gaps, improving the spacing and overall alignment of your smile in the process. If you have gaps between your teeth, this can lead to a number of issues when it comes to the appearance of your smile as well as your overall dental health. In terms of smile aesthetics, tooth gaps can make your smile appear crooked or poorly spaced. This can result in feelings of self-consciousness when you laugh, smile, or speak, even around people you have known for many years. As far as your dental health is concerned, major gaps between teeth can throw off your dental alignment, resulting in excessive pressure along certain portions of your dental arch. This can lead to soreness when biting and chewing. Tooth gaps and similar spacing issues can also lead to teeth grinding (bruxism) as you are sleeping. Teeth grinding can then lead to tooth fractures, gum recession, and TMJ disorders. Invisalign® uses custom designed aligner trays to gradually shift the position of a patient’s teeth. Patients will wear an aligner tray for two weeks, keeping it in at all times except for when eating, drinking, and cleaning your teeth. This averages out to around 22 hours a day. At the end of two weeks, patients will then switch to the next Invisalign® aligner in sequence. The process continues over the course of several months, incrementally improving the appearance and health of your smile. For most patients, Invisalign® treatment will take around 12 to 24 months. This is similar to the average amount of time that someone would wear traditional braces. The end of treatment may be followed with some cosmetic touch-up procedures to ensure the most ideal dental alignment. While Invisalign® can lead to some soreness as you’re switching from one aligner tray to the next one, the discomfort is easy to manage. Patients will be given tips for reducing their discomfort as part of the consultation process. Invisalign® is highly effective, leading to results that are comparable to braces. Given the nature of Invisalign®, it essentially allows you to undergo orthodontic treatment you need without anyone noticing that it’s happening. The best ways to find out if Invisalign® is right for you is to schedule a consultation at our practice. We will be more than happy to answer your questions and address your concerns, and give you all the info you need about your treatment options. To learn more about Invisalign® and how it can help you have a straight and beautiful smile, be sure to contact our cosmetic and restorative dentistry center. Dr. Jean Barthman and her team look forward to your visit and discussing all of your dental health goals in full detail.